Our town is blessed with some of the most beautiful scenery in Massachusetts. 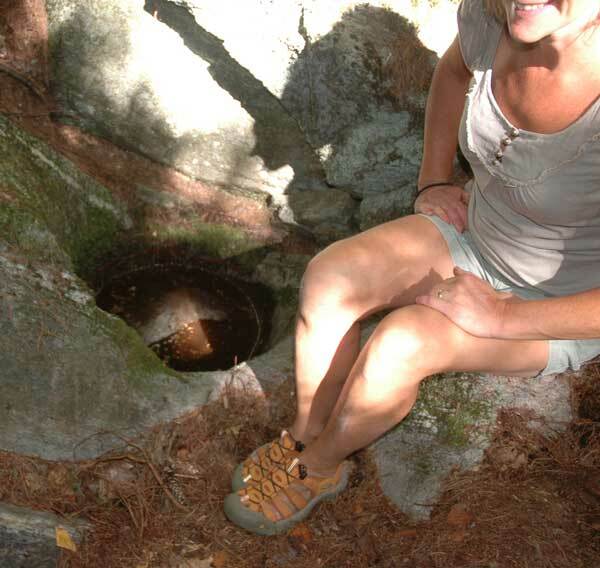 Old stone walls and cellar holes, mill sites and trails, both ancient and modern, abound. Mount Grace, Flower Hill and other prominences are a magnificent backdrop to the ever-changing theater of the seasons. 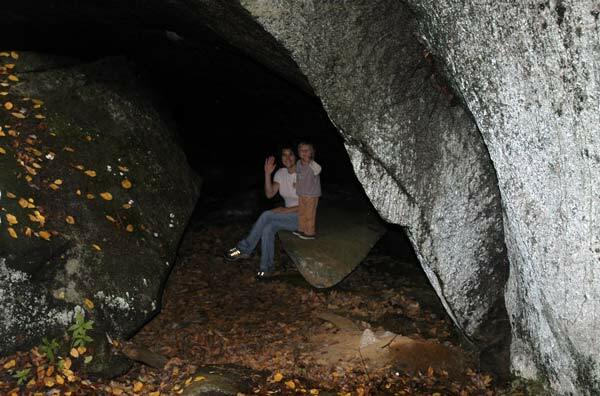 Geological formations like the Indian Cave, Indian Kettles (glacial potholes), the Devil's Washbowl, Kidder Falls, The Cascade at Sheomet Pond, and a glacial erratic, the enormous Wawbeek Rock, offer the hiker much to marvel at. 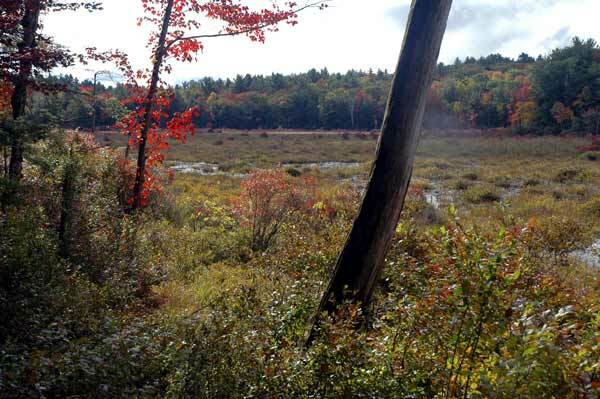 Though no major rivers flow through our town, there are streams, brooks and ponds aplenty, and some magnificent wetlands, among them Stevens Swamp and Bass Swamp. Many old and stately buildings, some dating back to the 1700's, await the architectural devotee. 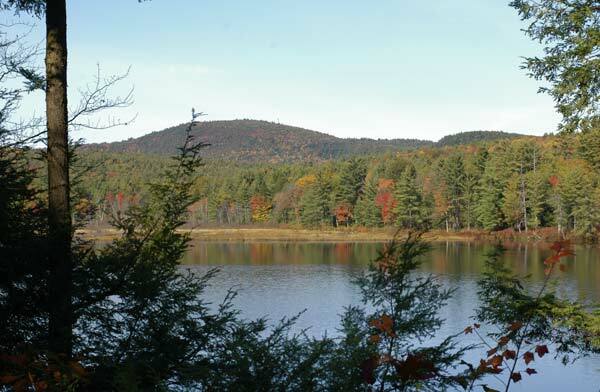 North Quabbin Woods lists many of Warwick's recreational sites and events with photographs, maps and directions. A terrific site! 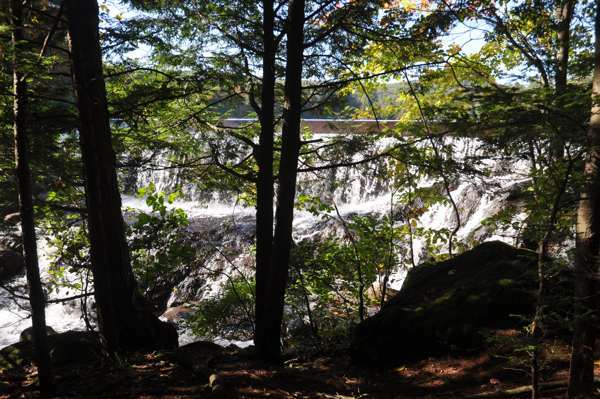 Hike New England reports on a hike to the top of Mt. Grace via the M & M Trail and the Round-the-Mountain Trail, with gorgeous photos, maps and directions. Lost Ski Areas documents the old Mt. Grace Ski Area with photos and a map. Clicking one of these links will open a new window. Dismiss the window to return to this page. George Day explains the history and workings of the town clock. I'll be posting tales and poems about Warwick and its attractions here. If you have anything to contribute, please contact the webmaster! 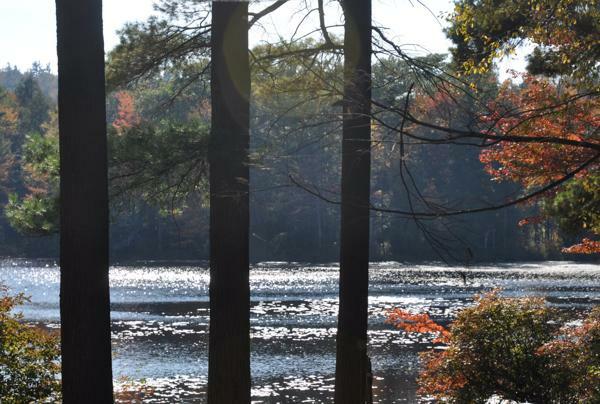 Poem about Moores Pond by Guy Carey, Jr.
Genealogist Jillaine Smith has been studying an interesting period in Warwick's history where our ancestors dealt with problems we tend to associate more with modern times than the 1700's. She has put together her findings in a paper entitled "God, Love and Lust: The Tale of Four Revolutionary Families in Warwick, MA". For publishing reasons we can't put the paper up here, but if you contact Jillaine, she has agreed to share drafts of the paper with readers of this site. 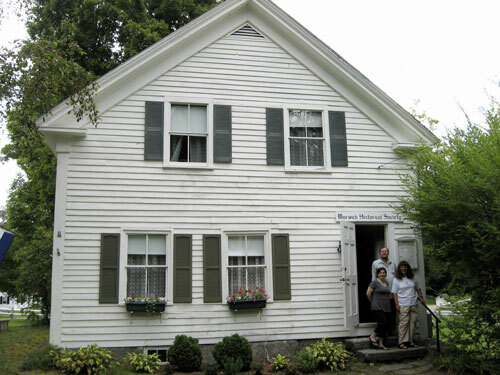 The town met in a public forum on February 13, 2008 to discuss and prioritize Warwick's Heritage Landscapes. Heritage landscapes are special places created by human interaction with the natural environment that help define the character of our community and reflect its past. While many of us may immediately think of village center, there are a number of other special places in our community that have been identified in order to help plan for their protection. 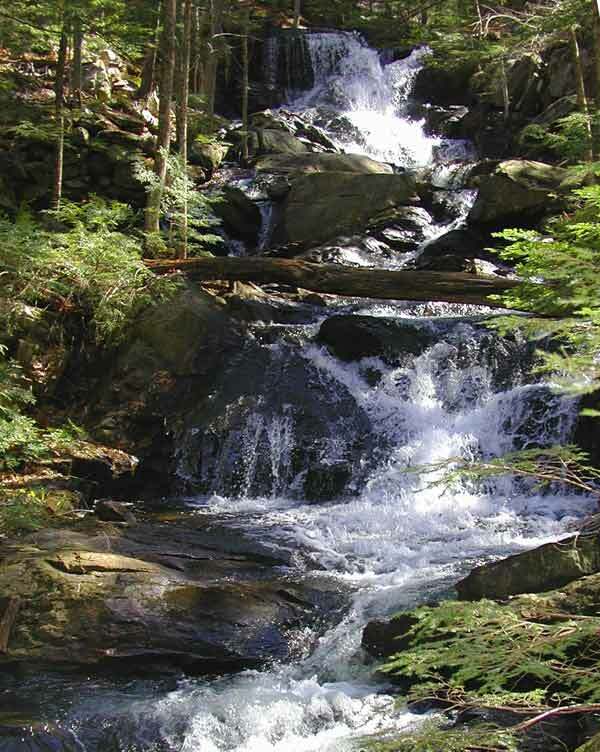 With the help of the Massachusetts Department of Conservation and Recreation (DCR) through the special efforts of Senator Brewer, Dodson Associates of Ashfield, MA was hired to facilitate the town's priorities and to create a report that would be used as tool for future planning and grant opportunities. The final copy of the report has just been printed thanks to the efforts of Nancy Hickler at the library. Copies of the report have been distributed to the Selectboard, Planning Board, Zoning Board of Appeals, Historical Society, Open Space Committee, and the Library. A copy of the report can be downloaded here (Caution: this is a 5 MB .pdf file). Thank you to everyone that participated in the process. The publishing of the final report is not the end of the process but rather just one step as the findings are used for various planning and grant resource work. The document is intended to be reviewed regularly and updated as needed. 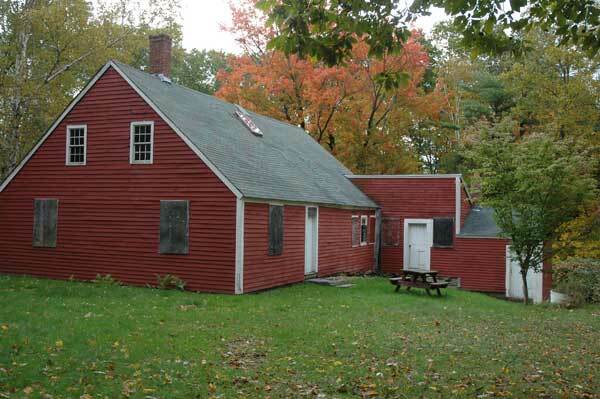 This brief but thorough survey by the Massachusetts Historical Commission provides a condensed history of the town from prehistoric to recent times. Well worth the time to peruse it! The Beers 1871 map of Warwick. You can enlarge the map using the "look closer" button to the right of the map. A great resource!